This gorgeous amethyst torus is a superior protection and calming stone known for warding of psychic attacks and addiction tendencies. A stone of peace and tranquility, many use amethyst to ease depression, anxiety, restlessness, negative thoughts, and to stabilize energy. 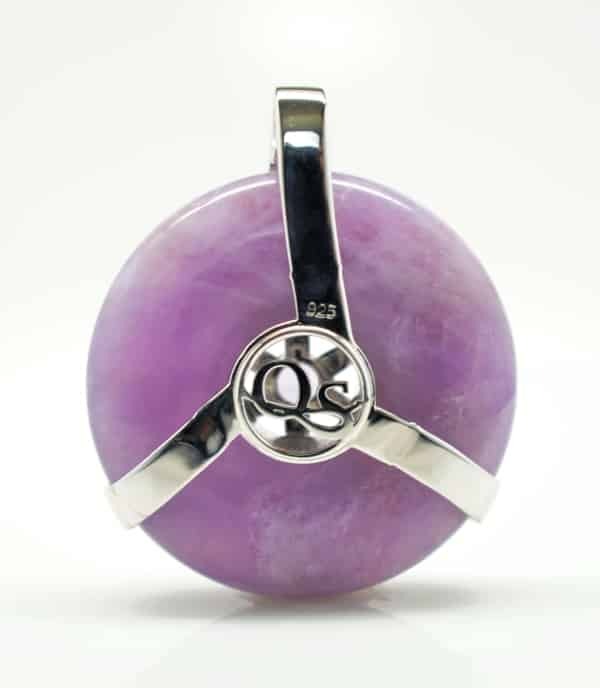 Widely revered for its propensity to activate the higher chakras, this stone is excellent for use in mediation to access higher realms and universal insights such as understanding the transformation process from birth to death. 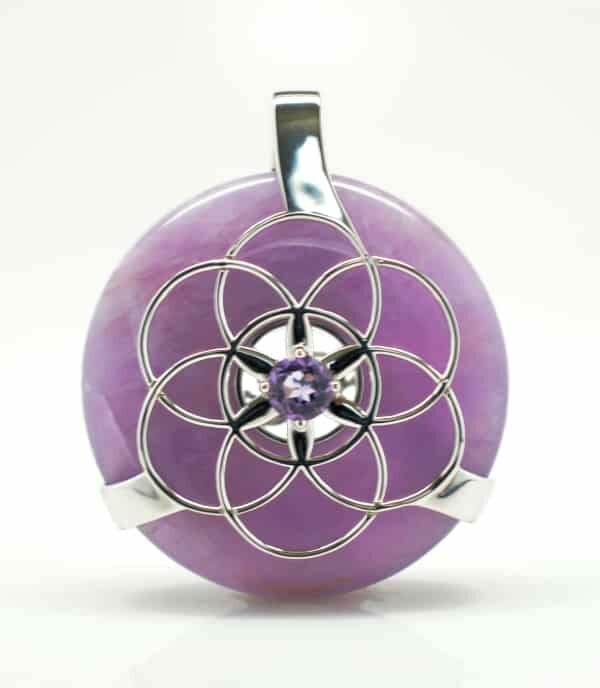 The combination of the amethyst torus with the sacred geometry Seed of Life with a center-cut 6MM amethyst crystal, this is on of our most powerful healing amulet combinations.